Few other art forms, or businesses, depend on a seasonal spike in trade as heavily as books do. Many publishers will expect to earn almost half their annual revenues in the couple of months before Christmas. How odd, then, that the technical changes that obsess this sector should still prove so inimical to the pleasures, and rituals, of buying a book as a present. 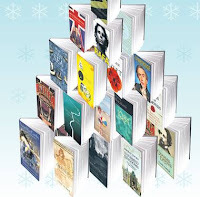 E-readers may bulk out millions of stockings this season. Yet the works you read on them remain ghostly intangible files, hard to transfer easily as gifts or loans between readers or (most) devices, thanks to the fences erected around them by "digital rights management". So, however much you adore your iPad or Kindle, why not renew your aquaintance with the joy of the printed volume as a source of festive delight this year? From food to fiction, art to science, sport to history, many of the titles selected by our experts showcase the skills of the designer, the illustrator, the typographer, the printer, as well as of the author whose words they enhance. Does digital publishing menace the future of these arts? If so: all the more reason to go out, or stay in, and buy these treasures while you can. We will lead you to the year's best in every genre, each book a valuable object to have – and to hold. Take 5 this summer and be in to win! THE DROP - reviewed on Radio New Zealand today. Can eBooks Meet Changing Social Demand? The New Yorker on the future bookstore?? Best ski-writing of 2011 ?